Three-Minute Fiction: Little Hossein Little Hossein was the first person I knew who died. We started calling him Little Hossein when Big Hossein moved down from the mountains to live with his brother Mohammed, our cook. Little Hossein was older than me, but just my size. For Round 7 of our contest, we asked you to send us original works of fiction that have a character come to town and someone leave town. Our winner was Little Hossein by Chris Westberg of Williamsburg, Va. This short story by Chris Westberg is the winner of Three-Minute Fiction Round 7. Little Hossein was the first person I knew who died. We started calling him Little Hossein when Big Hossein moved down from the mountains to live with his brother Mohammed, our cook. Little Hossein was older than me, but just my size. His head was shaved. His father, Mashala, our gardener, spent the whole day, every day, watering the rose bushes, because the minute he stopped they got dusty. Little Hossein's skin was the color of the dust and smelled like kerosene. One day, Big Hossein found him stealing Kool Pops from our refrigerator and hit him on the head with his flip flops. Over and over. Harder and harder. Little Hossein started to cry, and so did I. After that I guess we were friends, except I spied on him and he spied on me. He crept onto the terrace and looked through my bedroom window. I told him the picture of President Kennedy on my dresser was the Shah of Emrika. He stared through my window at that picture a lot. Or maybe he was looking at my piggy bank right next to it. He'd stand outside my window where my bike was parked. It was a three-speed from the States, but finally I let him borrow it. He rode it outside the gate to the village. He didn't let the village boys ride it, but he rode it round and round the square while the boys tried to push him off. Every morning I had to walk past the sand dunes on the way from the gate to the school bus. The village boys hid behind the sand dunes. They threw stones that hit the gravel near my feet. One day when I came back from school Little Hossein was hiding with them. Then my bike disappeared. Mohammed saw the village boys riding it. That evening I heard Mohammed and Mashala and Big Hossein yelling at Little Hossein. You could hear the flip-flops slapping his head all the way from the servants' quarters. Early in the morning Little Hossein tapped on my window screen. We snuck out of the gate and hid behind the sand dunes. We waited. The sun rose. The mullah stopped singing. The roosters stopped kukukoolooing. Then Hassan, the tall, skinny, meanest one, appeared from far across the desert, riding my bike, skidding and scraping the tires. He was singing when he passed us. Little Hossein jumped from behind the sand dunes and knocked him over. I shouted, "Thief. Thief. Thief!" Hassan scraped his face on the gravel but held tight to the bike. They were yelling about money and Hassan kept saying, "Hossein AGHA! Mr. Hossein. BIG Hossein!" Then he yelled, "TEEF. TEEF. TEEF!" and turned my bike upside down. The tires were still spinning fast. He grabbed Little Hossein by the back of his neck. 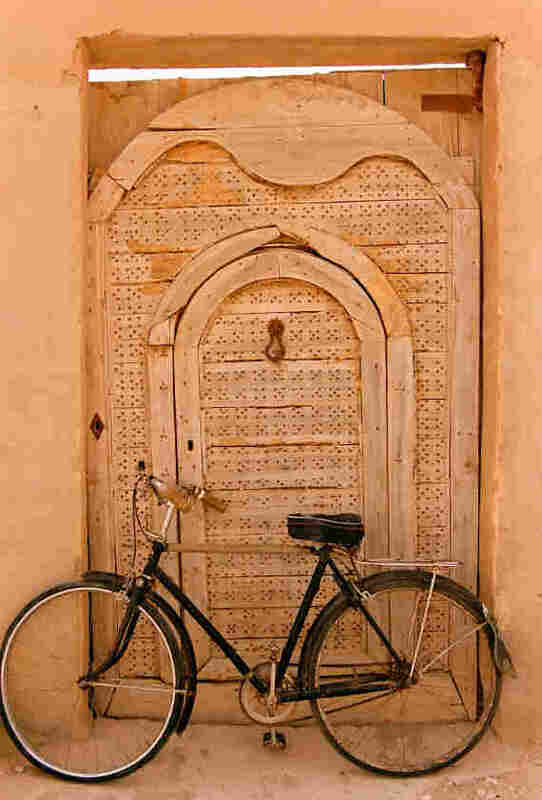 He pushed Little Hossein's face at the bicycle, pressing his tongue against the tire until the spinning stopped. Then Hassan yanked Little Hossein's head back and at me. His tongue was covered with dirt and snot. Big Hossein didn't get fired for selling my bike. Little Hossein stopped sneaking around my window, even when the 10-speed came from A.P.O. He hid with the village boys and whispered, "Teef. Teef, Teef," with them every day when I got off the school bus. The snot stayed on his face and his throat got swollen. Finally Mashala took him to the hospital. The next morning when the Mullah stopped singing I heard Mashala crying so loud that the roosters hushed. Mohammed said it was the will of God. Round 7 of our Three-Minute Fiction contest attracted more than 3,000 story submissions. Tasked with writing an original short story that can be read in about three minutes, contestants had to include one character arriving to town and one character leaving town. The judge for this round, writer Danielle Evans, has picked her favorite. Evans is the author of the short story collection, Before You Suffocate Your Own Fool Self. 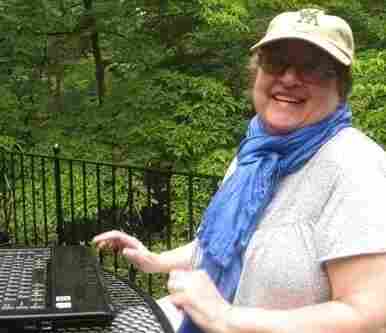 She read the submissions with the help of students at the Iowa Writers' Workshop and the faculty and students from NYU's creative writing graduate program. Evans tells host of weekends on All Things Considered Guy Raz that something about this round's challenge brought out "a tremendous sense of nostalgia." "There were kind of an astonishing number of child narrators," she says, "maybe people remember that idea of coming and going more clearly in childhood." Evans agonized over a few entries before picking a winner. One in particular that came close was Sleep Lessons, by Chad Woody from Springfield, Mo. "I thought that there was a way in which it kind of captures that idea of a child's sense of the world," Evans says. "There are all these ... strong images, very sharp sentences that really, you kind of see what's going on with the mother in a way that the child can't name." The piece that did win came from Chris Westberg of Williamsburg, Va. Her story is called Little Hossein. The setting is not explicitly mentioned in the story, but Westberg says it takes place in 1963 in a village outside of Tehran, Iran. She says all of the characters were real people in her childhood. The event, however, is fictional. Evans said the story stuck in her mind after reading it. "I got the sense that there was this whole world here," she says. "[Westberg] took that feeling and those memories and made them something kind of heightened and compressed and really interesting." Westberg teaches acting at the College of William and Mary. "I think my directing and acting experience is really feeding my work," she tells Raz. Westberg says the parameters for this round were not challenging. In fact, they helped her frame the story. "[Evans] gave me a great, great gift, because I wasn't even thinking about the story, and when she said it's about somebody arriving and somebody leaving — Whoa! It all came together," she says. The next Three-Minute Fiction challenge and a new judge will be announced after the New Year.